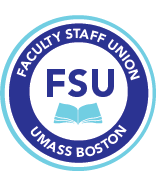 The Office of Human Resources and the Massachusetts Teachers Association (MTA) will be hosting information sessions to discuss Contract Service Purchase (Buyback) for Non-Tenure Track Faculty (NTT). Barbara Jean Conneely, Benefits Manager for Human Resources will provide general information on the Massachusetts State Employee Retirement System (MSERS) Contract Service Buyback request process. Group discussions will cover MSERS eligibility requirements for Buyback and common Buyback requests. The sessions are most beneficial for NTTs who are current members of the Massachusetts State Retirement System and are considering requesting a Buyback of creditable service. Ed McCourt will represent the MTA. These are general information sessions only. Contract Buyback requests are approved by the Massachusetts State Employees Retirement Board. We strongly encourage that you call the State Retirement Board at 617-367-7770 and ask to speak to a retirement counselor for any questions that relate to your retirement. Barbara Jean Conneely, Benefits Manager, will be conducting information sessions to discuss retirement planning from UMass Boston. Group discussion will cover State Retirement applications, GIC/Medicare options, and other retirement information for UMASS Boston retirees. These sessions are most beneficial for those who are considering retirement within the next two years. We would strongly suggest you call the State Retirement Board at 617-367-7770, ask for a retirement counselor, and request a retirement estimate to be mailed to your home address before attending the group discussions. Any questions about these sessions please contact Human Resources at 617-287-5105.